​The Final Tribe released Axel "Pablo" Källman from its Dota 2 roster, the team announced Monday. ​​The Final Tribe and Pablo decided to part ways after six months. The Swedish ​Dota 2 team acquired Pablo in January to replace Shamal "LezzQQ" Amin-Enemark for the Bucharest Major Europe Qualifier. Although the team secured first place in certain qualifiers for Dota Pro Circuit events, it was unable to perform well enough in the event to qualify for ​The International 8 or ​Dota Summit 9. The team's only first place finish that did not come from a qualifier was through joinDOTA League Season 12 Europe. 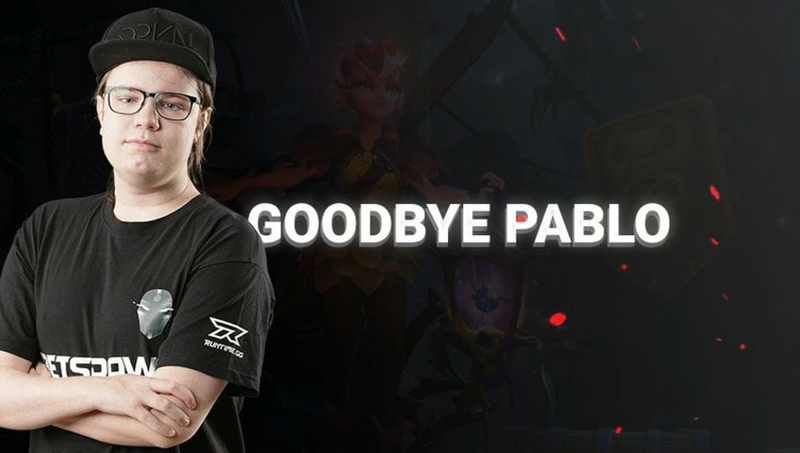 ​​Pablo leaves behind Adrian "Era" Kryeziu, Pontus "Frost" Frost, Jonas "jonassomfan" Lindholm and Simon "Handsken" Haag. The Final Tribe did not reveal a replacement for Pablo in its announcement. The International 8 is Valve's annual Dota 2 event with teams from around the world. The prize pool ​surpassed $20 million, though fans noted the prize pool tracking ​was slower than last year's.